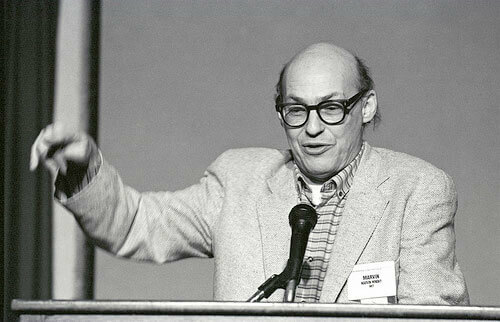 Marvin Minsky died this week. Marvin started MIT’s AI Lab, which is now CSAIL (which is the center of computer science at MIT). He left the AI Lab to help start the Media Lab (the most interdisciplinary antidisciplinary lab in the world). He was my advisor’s advisor. Minsky is one of those professors that makes me proud to be an MIT student. 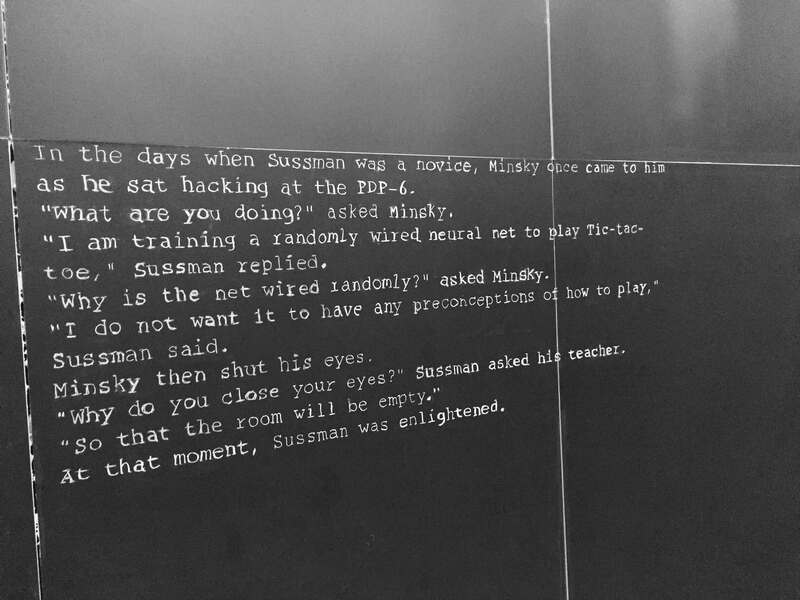 Here’s a quick story about Minsky that Joel Gustafson and I re-created on the chalkboard on Stata.